For those of you interested in the 6×6 silk boxes, here is a wedding invitation I designed earlier this year. The 6×6 size is the standard silk box and is 1 inch wide. The holder on the inside of the lid holds the response card, return envelope, and additional inserts. 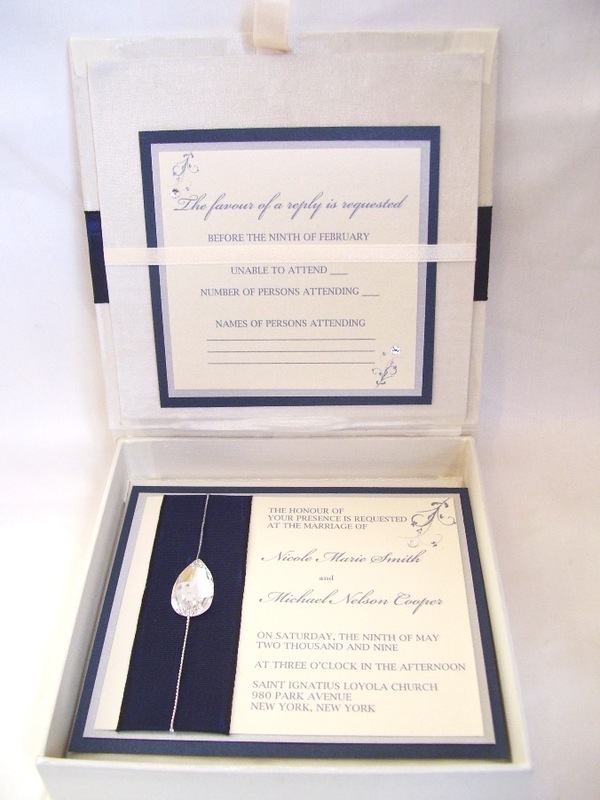 The invitation is bejewelled with a pear shaped Swarovski crystal and the inserts are adorned with small round Swarovski crystals. 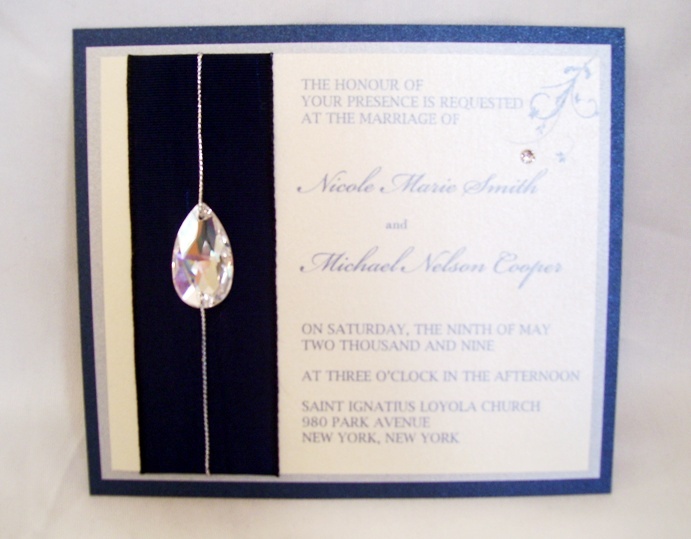 This entry was posted in 6 x 6, Embellishments, Invitations, Silk boxes, Wedded Bliss and tagged Silk Box Invitation, Swarovski. Bookmark the permalink.